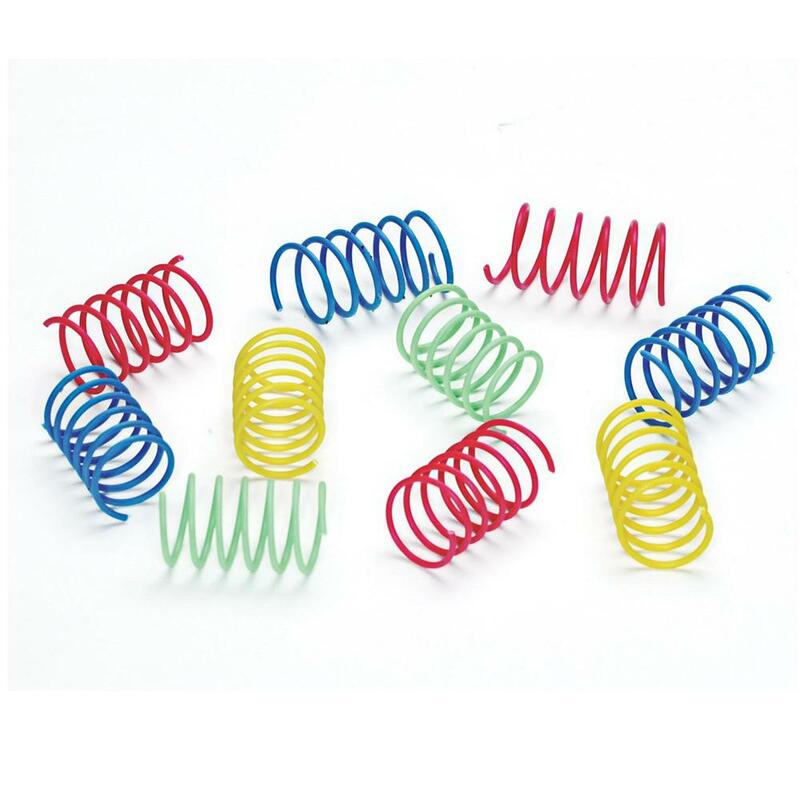 SPRING into ACTION with THESE ZANY DELIGHTS! Sometimes the simplest things make the best cat toys! Ten pack of plastic springs which for some weird reason cats just love! SPOTNIPS cat toys are designed to appeal to a cat's natural instinct for frisky play and healthy exercise. There's a SPOTNIPS toy that's pur-r-r-fect for every cat!